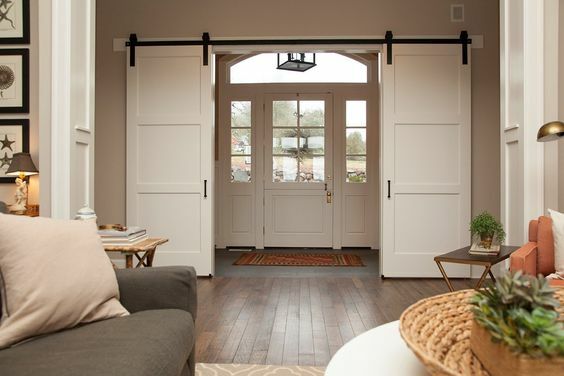 Sliding barn doors have been a hot home design trend for several years now! 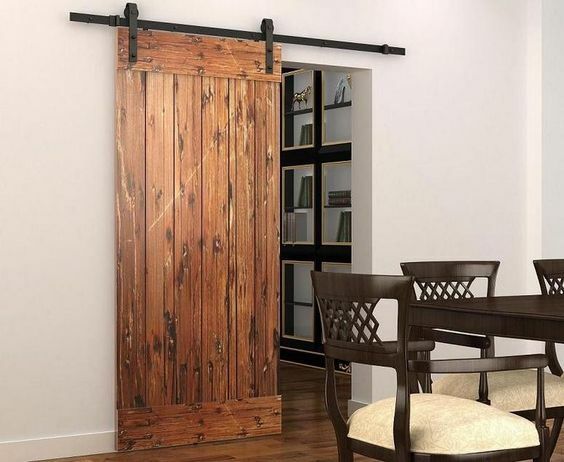 Whether you use them to conceal a pantry, bathroom, home office, or laundry room, barn doors are a stylish and space-saving way to divide sections of your home. 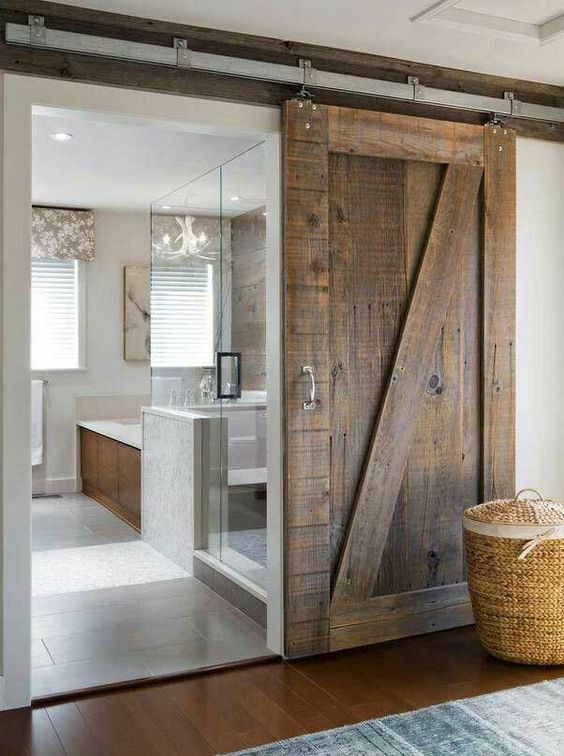 Below are some of our favorite pieces of barn door inspiration! All images via our Pinterest. Add the first five ingredients in the bowl of a slow cooker and toss to combine. Season with salt and pepper. Cook on high heat for 3-4 hours. When the chicken is cooked, drain most of the liquid. Shred the breast meat with two forks in the bowl of the slow cooker. Toss with more caesar dressing. Toast and butter ciabatta rolls, if desired. Top bottom halves with romaine, shredded chicken and shaved Parmesan. Place top halves on top and serve warm. The Promiscuous Fork’s commitment to their fellow foodies goes beyond their menu. They’ve created a comfortable, casual, non-pretentious feel to their restaurants. They want you to feel as if you were on vacation somewhere and walked in to the “local spot”. The Promiscuous Fork has two locations in San Diego: in La Jolla on La Jolla Boulevard and in Pacific Beach on Ingraham Street. Both restaurants serve up a delicious menu of unique items you won’t find anywhere else. Our favorites include the Lamb Lollipops, the Mac ‘n’ Cheese With Asian-Braised Shredded Short Ribs, The Notorious P.I.G. Sandwich, and The Yuck Mouth Burger. 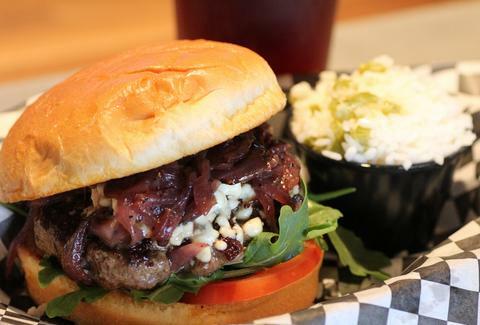 They also offer an extensive menu of craft beer and wine to enjoy with your food. Both locations are often busy, especially on nights and weekends so come hungry, but be prepared to potentially wait for a seat! Coastal Premier Properties is thrilled to welcome Reza Karkouti! Reza will be working out of our Scripps Ranch office as part of The Moreland Team with his wife, Kara. The Moreland Team is also part of The Boyle Team. When Reza found himself lagging behind the rest on the high school track, he vowed never again to be at the back of the crowd. He would sneak in extra hours of practice and, by his senior year, held the high school record for the 110 meters hurdles. It is this type of dedication and perseverance that Reza brings to his clients. A 22 year veteran of business ownership within the county of San Diego, he knows the hidden details of each community and the personalities that each neighborhood creates. To Reza, real estate is a business based on trust, something that he builds through honest communication and responsiveness. He embraces every new project with the understanding that it is a unique and personal experience, and dedicates his time to understand that uniqueness. He knows that purchasing or selling a home is not an everyday experience so he gently guides his clients through every step of the process. A master of negotiations, he will guide you through understanding the realistic value of homes and wants you to feel that you have gained the best financial picture for your situation. Reza enjoys traveling, scuba diving, beach volleyball and hiking. He is active in animal rights and enjoys spending time with his family. Click here to contact Reza! For more about Coastal Premier Properties, visit our website! Flowers have always been a popular print for homes, but in 2018, this trend is getting a bolder, graphic update. Think flowers on a large scale, in unexpected places, and in high-contrast palettes like black and white or hot pink! In a large slow cooker, combine chicken, black beans, corn, peppers, onion, fire-roasted tomatoes, cilantro, garlic, cumin, chili powder, salt, and chicken broth. Cover and cook on low until chicken is cooked and falling apart, 5 to 6 hours. Shred chicken with a fork, then top soup with Monterey Jack and cover to let melt, 5 minutes more. Meanwhile, make tortilla crisps: In a large skillet over medium heat, heat oil. Add tortilla strips and cook until crispy and golden, 3 minutes. Transfer to a paper towel-lined plate and season with salt. Serve soup topped with tortilla crisps, avocado, sour cream, cilantro, and lime. Coastal Premier Properties is pleased to welcome Kara Moreland! Kara will be working out of our Scripps Ranch office as part of The Moreland Team with her husband, Reza. The Moreland Team is also part of The Boyle Team. Kara Moreland grew up in and around real estate, spending her summers helping her parents market their real estate projects. A native of Colorado, Kara understands that a home is the center of memories that chronicle our lives, whether it does so by providing a haven of comfort or the environment that help relationships grow. Her business philosophy is based on trust and honest communication. She uses her intuition and listening skills to understand her client’s lifestyles and dreams. Kara received her Bachelor’s Degree in Journalism and Mass Communications from Arizona State University. Communication and hard work are her trademarks. For the person looking for a home, she invests her energy to find the right community, the right neighborhood, and the right home. For sellers, she helps them position their home so that it transitions to the perfect person or family. She will be there when you need her. Kara is competitive in both work and play. In her leisure time, she enjoys soccer, beach volleyball and running the many trails in San Diego. She also has an eye for beauty and enjoys photography and filming. At home, she makes her own family memories as she creates culinary delights, which her husband truly appreciates. Click here to contact Kara! For more about Coastal Premier Properties, visit our website! Serving your North County Coastal and Inland San Diego real estate needs.